Techniques are the various abilities that make up the Dragon Ball World, it is in this section that we will cover: Technique Types and Levels. This consists of all Techniques which require Ki, they are the various blast types and each have a special detail about them. Ki blast effect can be negated at the cost of the victims Ki, using equal or more Ki as defense will use up Ki but allow a victim to negate effects. Also in the event two Ki Blasts of any type collide they user with the higher leveled technique wins. If techniques are of the same level the person holding a higher Ki Manipulation Attribute wins, if the Attributes are the same the Blasts explode on impact causing a draw. Basic Type: Energy gathered and then fired as an energy bullet, examples include the Kamehameha, Big Bang Attack and Crusher Ball. Concentration Type: Techniques where the ki is concentrated into one part of the body and then fired, examples include Special Beam Cannon, Dodon Ray and Greatest Technique. 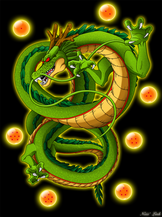 Accumulation Type: Technique where one borrows the ki of others and makes it into an energy attack, examples include the Spirit Bomb. Kiai Type: Techniques that cannot be directly seen through the naked eye, examples include the Tri-Beam and Kiai. Alteration Type: Technique where the ki is manipulated to take on a certain form different from the traditional energy blast, examples include Destructo Disc, Ki Saber and Galactic Doughnuts. Rapid Fire Type: Techniques which rapid fire energy bullets, these attacks are very powerful and consume immense amounts of ki, but leave no openings for counterattacks. Examples include Continuous Die Die Missile and Human Extinction Attack. Guided Type: Techniques where the energy attack is freely manipulated by the user, examples include the Spirit Ball. The ultimate form of this type is where the technique is not merely manipulated by the user but rather possess it's own consciousness and thus can act on it's own if necessary, examples of this type include Super Ghost Kamikaze Attack. Blended Type: Techniques which are a blend of the above types as they use different properties from each, examples include Neo Tri-Beam (a combination of Kiai-type and Rapid Fire-type) and Super Ghost Kamikaze Attack 10-Ghost Finish (a combination of the Guided-type and Rapid Fire-type). Movement Type: Techniques which use ki to aid in the user's movement, examples include Sky Dance Technique and Instant Transmission. Assisitng Type: Techniques which aid the user in attacking, examples include the Kaio-ken, Solar Flare and Energy Shield. Sealing Type: Techniques which seal the opponent away, examples include the Evil Containment Wave. Martial Arts are techniques that may require Ki or Stamina to perform, they also have a close quarter effect meaning they require a character to first make contact. Once a opponent is caught in a Martial Arts Technique, they can only break free by using double the stamina or ki used to perform a technique. Basic Type: Techniques which involve the user attacking with their fists or legs. Throwing techniques also come under the basic-type classification. Combination Type: Techniques which combine the different basic-types to continuously attack an opponent to leave no room for counterattacks, examples include Rock, Scissors 'N' Paper, Wolf Fang Fist and Volleyball Attack. Form/Intent Type: Techniques where the user attempts to catch the foe off-guard by mimicking the movements of others, examples include Drunken Fist and Crazy Fist techniques. Secretion Type: Techniques where the user attacks by secreting viscous fluid from their body, examples include Merry-Go-Round Gum and Acid. Detachment Type: Techniques where the user detaches part of their physical body to attack, examples include Potbelly Attack and Arm Detachment Attack. Merging Type: Techniques where the users fuse together, examples include Fusion Dance. In the event players decide to merge they must agree prior to the technique who will control the newly fused character. Techniques learned through special training, they have been passed down since ancient times but their power has not decayed. Players are limited to 3 Unique Techniques, Transformations with multiple stages cost 2 Unique Technique Slots instead of just one. Hypnosis Techniques: Techniques where the user influences opponents through hand motions and speech, examples include Sleepy Boy Technique and Hypnosis Technique. This requires the victim to have made eye contact with a specific point on the enemies body (eyes, hands, mouth, etc..) whatever part is most important in the technique. Sorcery Type: Techniques usable by wizards, unlike ki techniques, sorcery does not use up stamina, depending on the strength of the technique an incantation may need to be used, examples include Explosion Sorcery and Paparapapa. Transformation Type: Techniques used to amplify a users stats or Ki pool temporarily, allowing them boosts during battle or training.